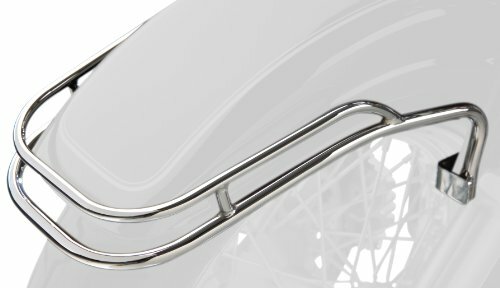 This front fender rail incorporates a custom twin rail design with an upper rail and a bottom rail, adding a great chrome accent to your bike. The rail securely mounts to the front forks with a four point attachment to minimize vibration. Bolts on to original fender mounting bracket. Fits Kawasaki VN2000 2004-2008, VN2000 Classic 2006-2010. 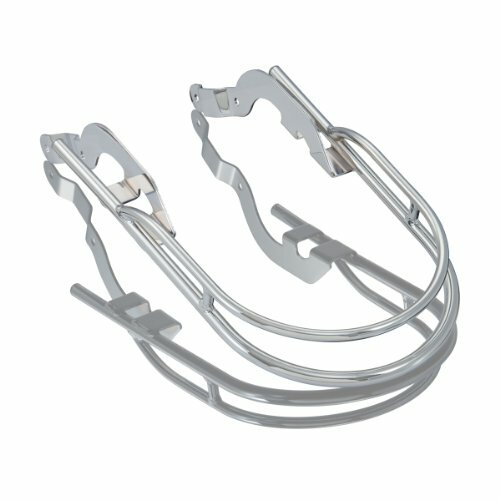 This front fender rail incorporates a custom twin rail design with an upper rail and a bottom rail, adding a great chrome accent to your bike. 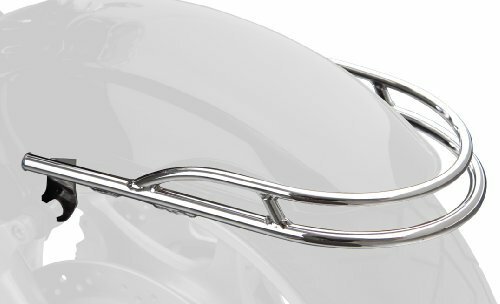 The rail securely mounts to the front forks with a four point attachment to minimize vibration. Bolts on to original fender mounting bracket. 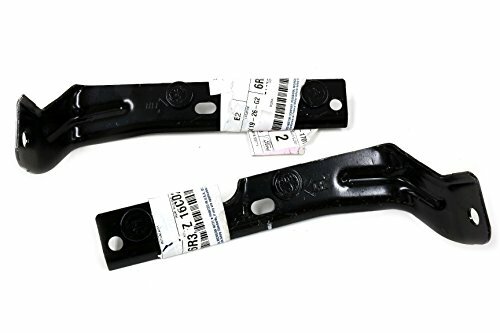 Fits Suzuki VL800/C50 2002. 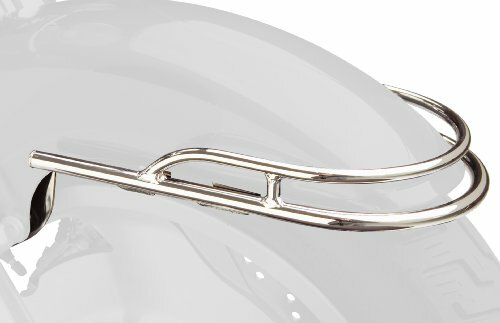 This front fender rail incorporates a custom twin rail design with an upper rail and a bottom rail, adding a great chrome accent to your bike. The rail securely mounts to the front forks with a four point attachment to minimize vibration. Bolts on to original fender mounting bracket. Fits Honda VTX1800 Retro N/R/S 2002-2008. 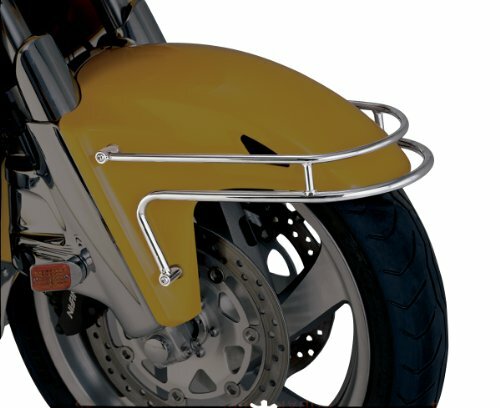 This front fender rail incorporates a custom twin rail design with an upper rail and a bottom rail, adding a great chrome accent to your bike. The rail securely mounts to the front forks with a four point attachment to minimize vibration. Bolts on to original fender mounting bracket. Fits Honda VT1100 Sabre 2000-2008. 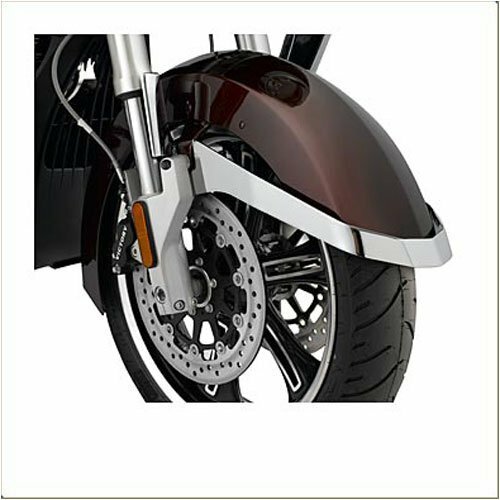 This custom designed front fender rail for the GL1800 adds protection to fender and a bold look of chrome to the front of your bike. 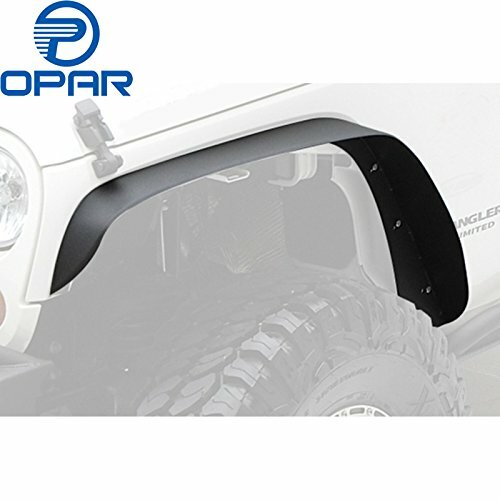 The rail securely attaches with four screw mounts. Mounting hardware included. Fits Honda GL1800 01-17. 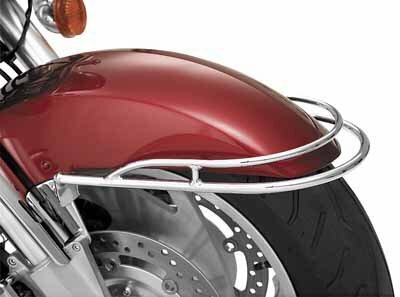 This front fender rail incorporates a custom twin rail design with an upper rail and a bottom rail, adding a great chrome accent to your bike. The rail securely mounts to the front forks with a four point attachment to minimize vibration. Bolts on to original fender mounting bracket. Fits Yamaha Road Stars.